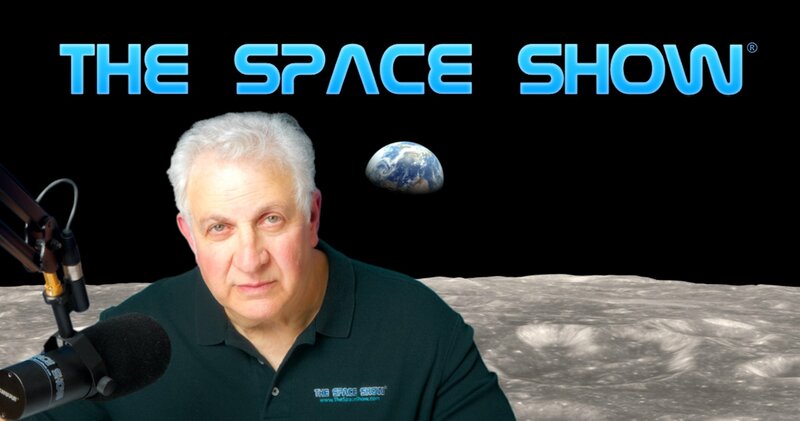 Guests: Melvin (Mel) Croft & John Youskauskas; Topics: The NASA Payload Specialist Program and their new book, "Come Fly With Us: NASA's Payload Specialist Program," plus many related topics. We welcomed Melvin (Mel) Croft & John Youskauskas to the program to discuss their new book, "Come Fly With Us: NASA'S Payload Specialist Program." As we started our one segment 92 minute discussion talking about the payload specialist program and the term Come Fly With Us which became the title of the book, we soon expanded our discussion to include the space shuttle, the origins of the program at Marshall and the early role of Von Braun plus the Air Force side of the story with the somewhat similar but different Manned Spaceflight Engineer (MSE) program. Listeners asked many questions about these early programs, how the participants got along with each other and the NASA astronauts, the type of missions carried by each and many of the personal stories by those who flew. Spacelab was a big part of the early story so don't miss what was said about this program. In addition, don't miss what was said regarding the competing forces between JSC and the NASA astronauts and Marshal naming their own crew members through the other programs. As you will hear, relationships were an impart part of the story. Another topic getting some traction during the first part of the program was the DOD and how it impacted shuttle design and eventual shuttle compromises in the design. Our guests talked about shuttle having the launch capability for polar orbits from Vandenberg but they also explained the limiting factors of doing that. Don't miss what they said about a possible shuttle launch from Vandenberg. Another key topic was the Teacher in Space program, Challenger, and the later flight after flights resumed with Barbara Morgan. As we were nearing the halfway point in the program, both the listeners and I asked about some of those having flown as payload specialists. I inquired about NASA PR types of flights and flying politicians and those from other governments. Much was said about these types of flights including Jake Garn's, Bill Nelson's, the Saudi prince and even John Glenn's flight which our guests described differently from a political type of flight. Listener Jill asked our guests about the two shuttle accidents and managerial responsibility for each of them. Both our guests had much to say on this topic. In addition we jumped forward to the coming commercial spaceflights with the Boeing and SpaceX human spaceflight vehicles. We talked about lessons learned by management, if any, and if the commercial human spaceflight would be different and avoid similar problems. You might be surprised by what our guests had to say on this topic. Since guest John was also experienced with aviation safety, I inquired about similar managerial issues with Boeing that might have shown up in the current problems faced by the company and the new 737 Max passenger jet. Again, don't miss John's reply to my question and comment. Throughout our discussion our guests told us crew stories. We talked about Bill Thornton, the Taylor Wang incident, John Glenn getting to fly again, how Barbara Morgan came back after Challenger and flew, plus the activities of Bob Cenker, Charlie Walker and others. Going commercial with the shuttle and for the future was yet another important topic as we were nearing the conclusions of our program. Listener Hellen asked our guests if in their interviews they had come across payload specialists or MSE participants talking about the Overview Effect or something similar. Both guests had a very interesting reply to this question that might surprise you. For example, can you believe being on an orbital shuttle mission and not looking out the window? Don't miss what our guests said in response to my question and seeing Earth from orbit. Especially about seeing Earth as being fragile. Once again you might be surprised by what you hear. Another important part of our discussion focused on the risk of launching and flying on the shuttle. Our guests seemed to indicate that while they knew there was risk in going to space, they were not sure they really understood the risks involved in the mission and the shuttle flight. We talked about risk and understanding the risk on and off through our discussion. I was surprised by what was said about really understanding the risks involved. For sure don't miss our risk discussion. As we were coming up on the end of our program, our guests were asked if the payload specialists and MSEs got astronaut wings. They talked about what the Air Force crew members received from the Air Force but did not think the payload specialists got astronaut wings. After the show ended, Mel sent me an email with the full answer to that question. I will post his reply with his permission on the blog. Please post your comments/questions on TSS blog for this show. You can reach Mel and John through me or through their Twitter account or their blog, both of which have been posted on TSS blog for this program.